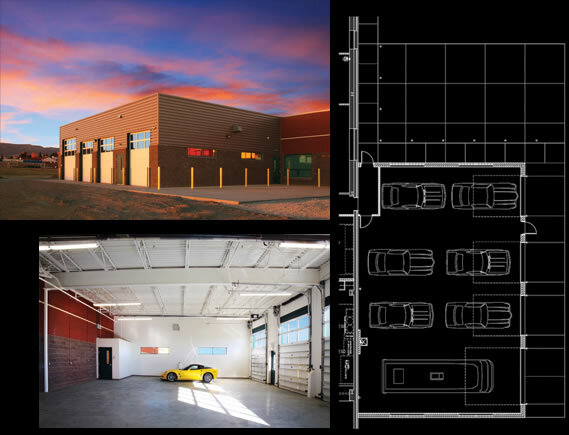 This addition to the existing Landmark Building was sized to accommodate six luxury automobiles and one RV as personal storage for the affluent owner. The garage has a full security system with cameras and windows up high to allow light but limit views. The facility features infrared heat, hose bibs, and a utility sink. Caspar Building Systems, Inc .